-Exquisite Manual Suture with Smooth Lines, Upscale Quality are Embody in Every Detail of Manufacturing. 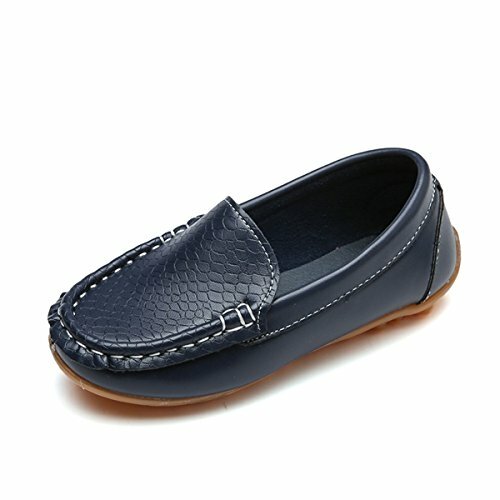 -Have your child strut in style with EU slip resistant split-leather, water resistant oxfords. Sure to put pep in their step whether bouncing around with friends or on the way to school. -High quality flexible and lightweight rubber sole make children feel comfy, the baby walks easily, runs and plays. Let the child love walking, love sports! -Great for little girls/boys everyday wear.Anti-collision toe offers kids the best protection, suitable for walking, jogging, running, hiking, climbing, traveling, camping, biking... Perfect for your baby. -Wear-resisting rubber sole with function of skid resistance, soft and comfortable, making the little feet lighter when walking.